(Natural News) Baking soda is an incredibly useful product that can be used in your garden. The household staple has been gaining popularity in the last few years because it is an inexpensive and abundant alternative to many synthetic chemicals out there. What’s more, baking soda — being all-natural — offers little to no side effects. 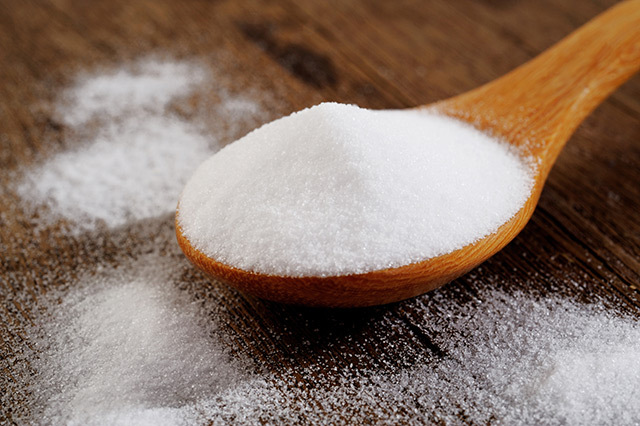 We regularly feature the many benefits and uses of baking soda. For this edition, we’ll be focusing on how you can maximize that extra box of baking soda to make your garden flourish. Determine the pH level of your soil — Some crops do better in more alkaline soil. The problem is, most gardeners don’t know how to test the pH levels of their soil. There are pH tests that you can buy in your local grocery or garden center, but these can be expensive and may not be accurate. A simple way to go around this is to collect two soil samples from different parts of your garden. Add ¼-½ cup of vinegar to one container for each location. If it bubbles, it means the soil is alkaline (pH is above seven). If it doesn’t, mix equal parts water and baking soda and add it to the other samples. If it bubbles, then the soil is acidic or having a pH level lower than seven. Make plants healthier — It can be discouraging to see wilting plants or crops that don’t look as healthy as they should be. You can give them a boost by mixing one teaspoon of baking soda, one teaspoon of Epsom salts, and ½ teaspoon of ammonia into a gallon of water. Give each plant a quarter or so of this mixture once a month. Kill those slugs — Baking soda is an environment-friendly pesticide. Sprinkle some on slugs to deter them. Be careful that the powder does not hit the plants as this can cause them to burn. Deter cabbage worms — As with slugs, baking powder does wonders in deterring cabbage worms. Mix equal parts flour and dust with the baking soda to get rid of those pests. Typically cabbage worms die within a day of ingestion. Get rid of mold and mildew — Baking soda is incredibly useful in getting rid of mold and mildew spores. Apart from your plants, you can use the powder for patio furniture as well. Deodorize compost — Baking soda prevents acid buildups. Don’t go overboard though. Too much baking soda in the compost will slow down the composting process. Help the growth of tomatoes — Experienced gardeners know that tomatoes grown in more alkaline soil are sweeter and bigger. Sprinkle a pinch of baking soda into the soil to grow healthy tomatoes. Keep cut fresh flowers longer — Add a tablespoon of baking soda into two quarts of water to keep cut flowers fresh longer. Make sure to change the solution every couple of days. Stimulate blooming — Some plants like geraniums and begonias bloom better when the soil is not too acidic. Give them a tonic made of one tablespoon of baking soda in two quarts of water for some enthusiastic blossom production. For more easy gardening tips, go to GreenLivingNews.com today.